The storm may be used as an excuse to raise gas prices as much as 10 cents per litre. CALGARY — Canadian gasoline prices are expected to rise this week after widespread flooding from tropical storm Harvey forced many refineries on the Texas Gulf Coast to shut down. 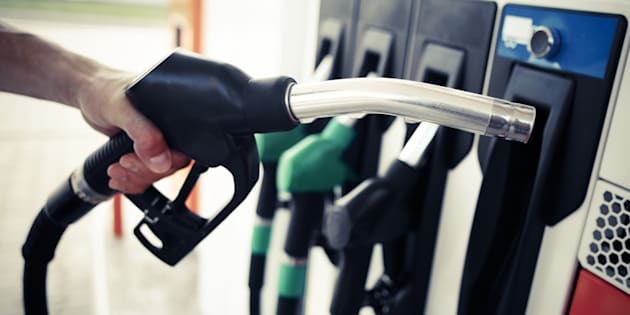 Wholesale gasoline prices in the country will likely rise by an average of two to four cents per litre by Thursday, said GasBuddy senior petroleum analyst Dan McTeague, but consumers in certain markets could see much higher price increases. McTeague explained that retail operators in markets like Calgary, Montreal and Ottawa are barely breaking even now and could use the wholesale price increase as an excuse to raise prices by as much as another 10 cents per litre to boost profit margins. "Traders are taking a wait and see approach and I think that's really why you're going to see very little, for now at least, in the way of any major spikes until at least Thursday or Friday," he said. U.S. gasoline future prices spiked Monday morning but Canadian prices shown on the GasBuddy.com website were little changed. BMO Capital Markets economist Sal Guatieri said gasoline futures prices rose to more than two-year highs overnight after the storm knocked out about a 10th of U.S. refinery capacity. "The damage could worsen if continued rains extend the flooding," he warned in a report, pointing out that U.S. spot oil prices were down due to the reduction in gasoline refinery demand. Meanwhile, Canadian companies with assets in the Gulf Coast area joined their American counterparts in closing offices and hunkering down to wait out the storm. Flood waters from Hurricane Harvey cover the main street in Dickinson, Texas August 27. Gas prices are expected to rise in Canada this week as the hurricane has shut down many Texas Gulf Coast refineries. Precision Drilling CEO Kevin Neveu, who splits his time between Alberta and Texas, said his house in the Houston suburbs is dry so far but flooding has damaged the homes of at least five of his company's 300 Houston-area employees. "Our number one priority right now is make sure our employees are safe and sound and their houses aren't damaged," he said from Precision's Calgary headquarters. "Number 2 priority is to watch the civil infrastructure and see how that responds. When the streets are safe and the power is up and running and gasoline is available, that's when we'll expect people to start coming back to work." He said Precision's main Houston offices and three field support operations are closed but 10 drilling rigs in the "rain zone" along the Gulf Coast are continuing to operate. Calgary-based pipeline company Enbridge, which bought Houston-headquartered Spectra Energy earlier this year, says it has closed its Houston offices and has removed all but essential staff from its natural gas gathering and processing facilities in the Gulf of Mexico. "We will continue to actively monitor the storm to determine if further actions are needed," said spokeswoman Suzanne Wilton. S&P Global Platts estimates that Harvey has affected about 2.2 million barrels per day of refining capacity in the United States, including ExxonMobil, Shell and Phillips 66 operations that began shutting down Sunday.